A Tom Ripley Series Is Coming to TV to Cure Our Insatiable Lust for ScammingPatricia Highsmith’s sociopathic charmer will feel right at home in the Golden Age of Television. A Totally Necessary Debate About Saturday Night Live’s Weezer SketchWe really have to get to the bottom of this. How Does Cecily Strong Breathe During This ‘Jingle Bells’ SNL Sketch?It’s like the Sweeney Sisters for 2018. SNL’s Dinner Party Descends Into Madness, Courtesy of … Weezer?Are you ride or die? Matt Damon’s Matthew McConaughey Impression Needs to Be Seen to Be BelievedMore like sublime, sublime, subline. Watch Angel, the Girlfriend in Every Boxing Movie, Find Out She’s PregnantTommy Ray Donovan loves his kids. It’s Getting Hot in Here, So Take Off Matt Damon’s Burning ClothesBurn, baby, burn! 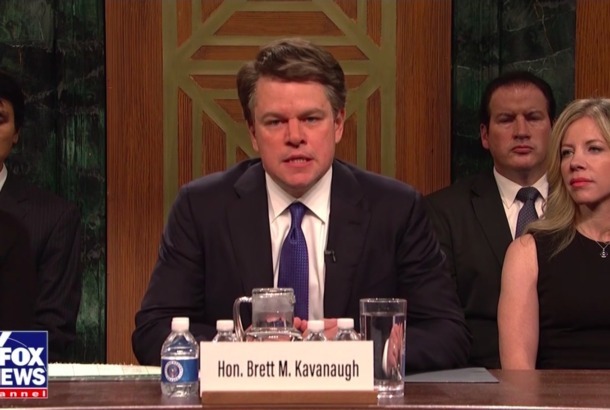 Matt Damon’s Kavanaugh SNL Appearance Came Together at the Last MinuteHere’s how it happened. Ben Affleck and Matt Damon Are Making a McDonald’s Monopoly Crime CaperBased on a recently published true-crime story. Minnie Driver Has a New Dig for Matt Damon, Calls Him a ‘Nice White Male’She has something new to say about her former boyfriend. Downsizing Is a Boldly Executed Sci-Fi That Trips Over Its Own ModestyHong Chau is a stand-out in Alexander Payne’s willfully weird economic parable. 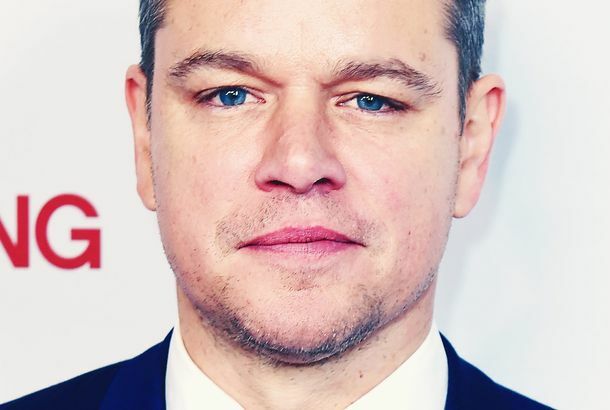 Matt Damon Returns With More Opinions on Hollywood’s Harassment ReckoningMatt Damon says that he’d consider working with men accused of harassment on a case-by-case basis. 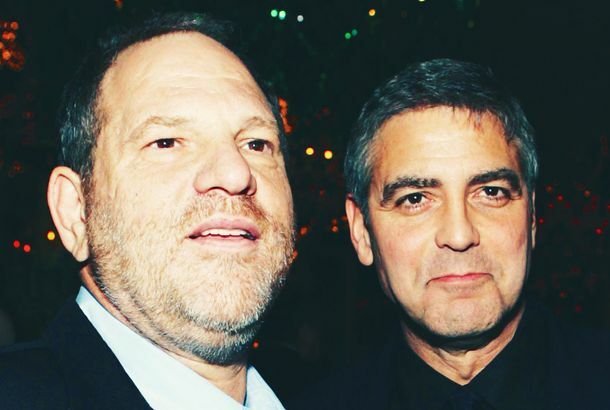 Matt Damon, Russell Crowe Reportedly Helped Kill a 2004 Harvey Weinstein ArticleThe two actors allegedly called a reporter working on an exposé directly. Matt Damon, Kristen Wiig Literally Shrink Themselves in the Downsizing TrailerPremiering this December. Downsizing Trailer: Why Shrink Your Lifestyle When You Can Shrink Your Body?Matt Damon and Christoph Waltz take the plunge. Here’s the Final Matt Damon Joke Jimmy Kimmel Didn’t Get to Make at the OscarsDamon escapes again!